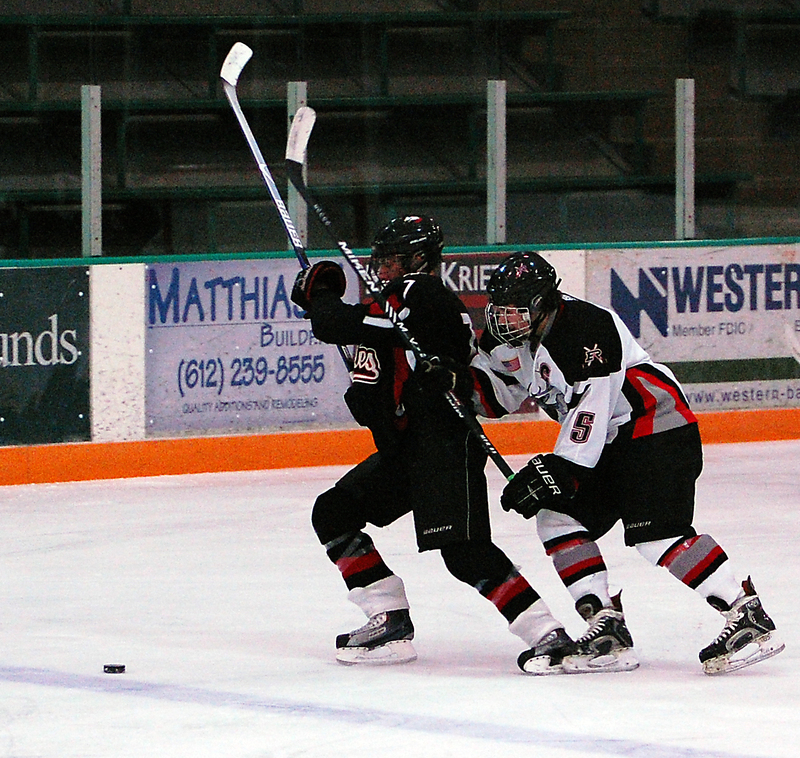 Game-turning penalty kill helps Eden Prairie get past Elk River. 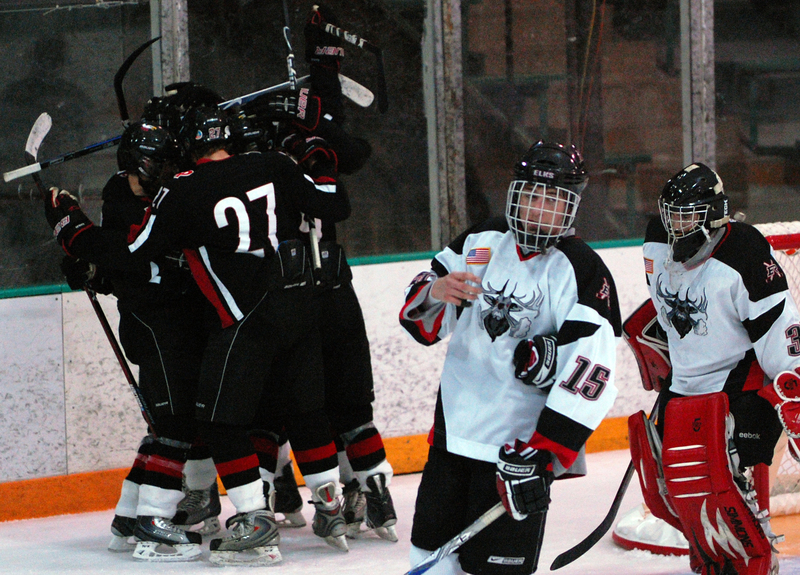 It’s not often Eden Prairie coach Lee Smith can find a reason to yell at Kyle Rau. 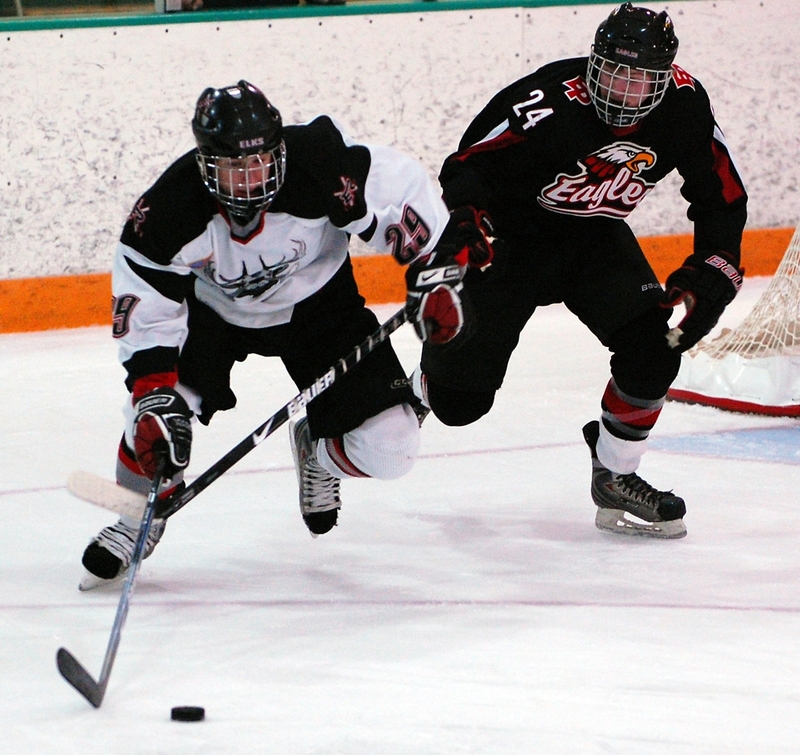 The Eagles’ leading scorer isn’t all about offense, although he did score two more goals in No. 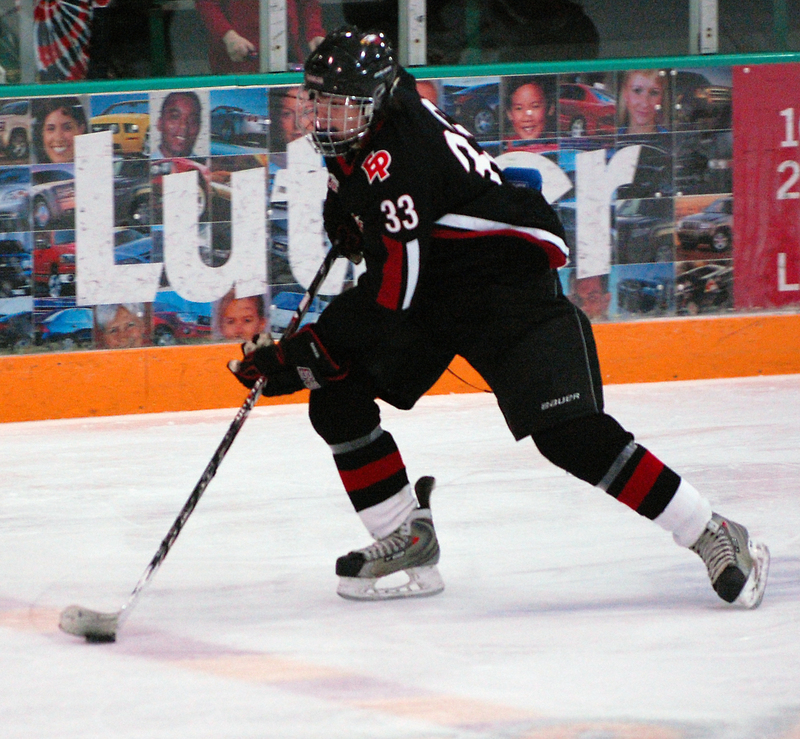 2 ranked Eden Prairie’s 3-0 triumph over No. 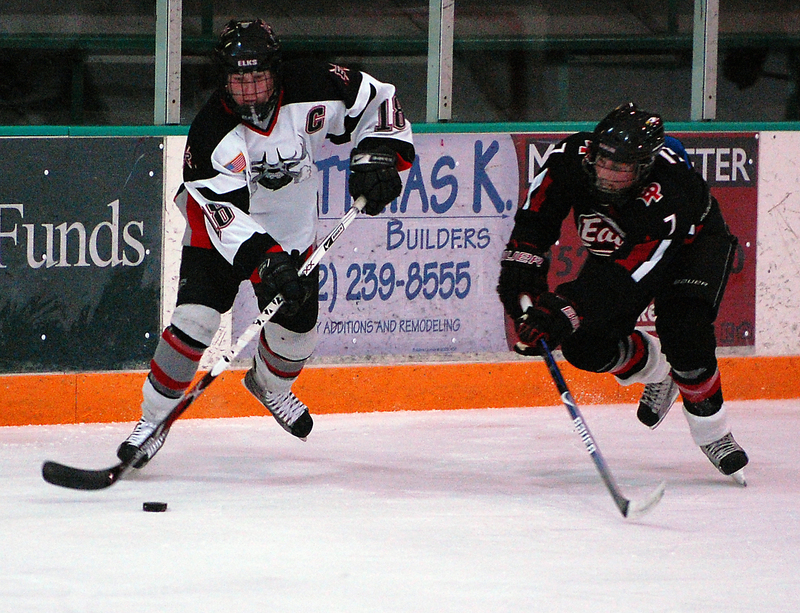 9 Elk River on Thursday, Dec. 17, at Braemar Ice Arena in Edina. Rau is conscientious in every zone. He moves the puck crisply, can score from anywhere on the ice, isn’t afraid to take the body and backchecks like a demon. 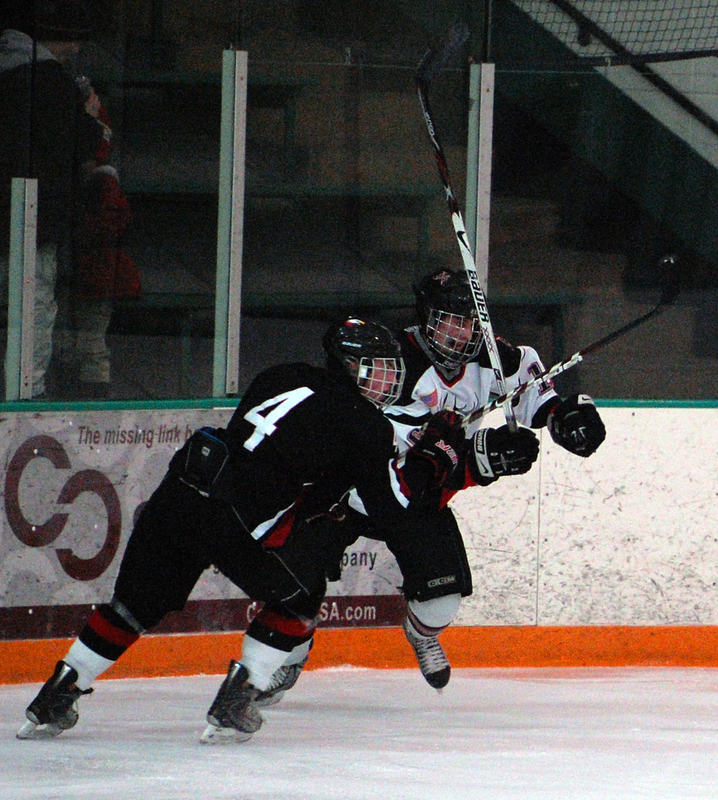 With unbeaten Eden Prairie, the defending state Class AA champion, clinging to a 2-0 lead in the third period the Eagles found themselves on the lonely end of a 5-on-3 power play. Rau was sent out as the lone forward on the penalty killing unity and (gasp!) lost the face-off. 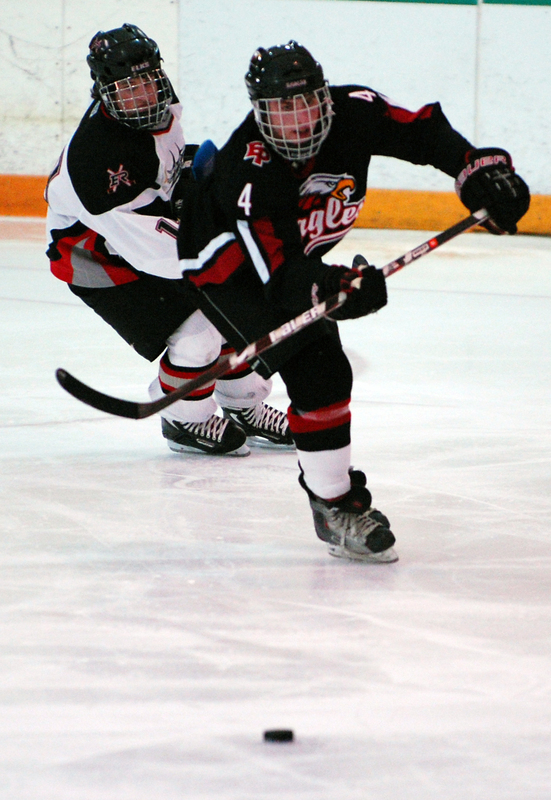 Indeed, Rau did not repeat the mistake, winning another crucial face-off in the Eden Prairie zone a few seconds later and joining with defensemen Dan Molenaar and Nick Seeler to kill off the power play that was Elk River’s best and last chance to make a go of upsetting the Eagles. “They did a great job on that penalty kill,” Smith said, not forgetting about Rau’s lost face-off. 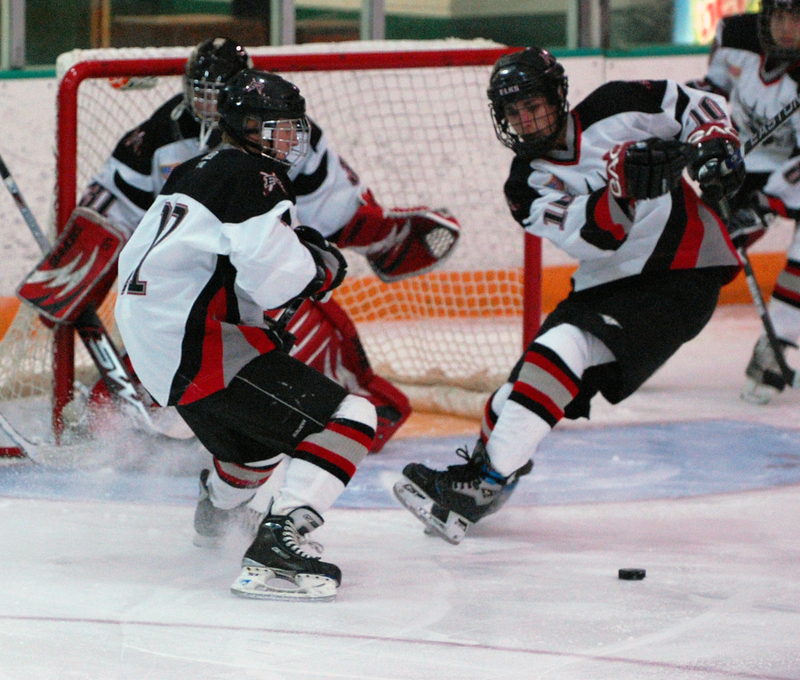 “The first time we lost the draw and they ended up with a good shot. The second time we won it and Moleny got it out. 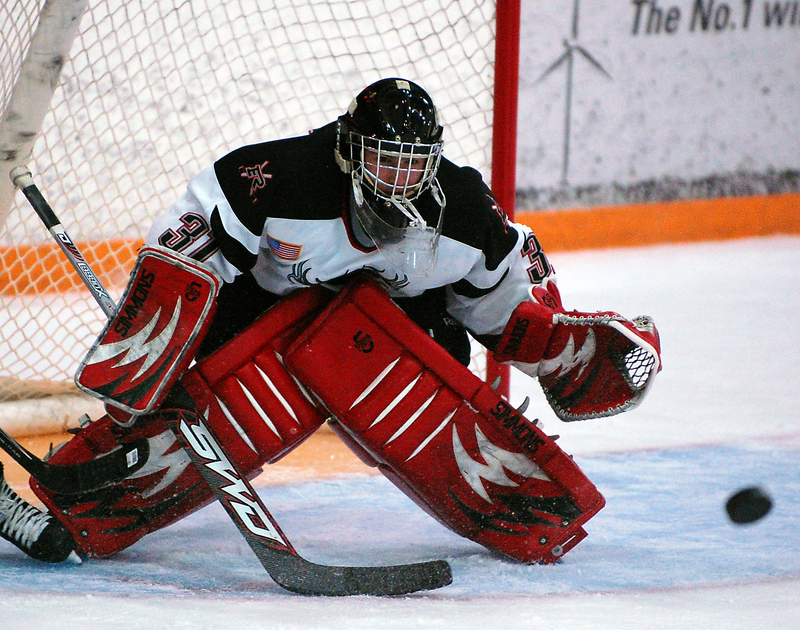 Oh, and don’t forget about Eagles goaltender Andrew Ford, who during that Elk River power play stopped a handful of point-blank Elks scoring attempts with his legs, arms, chest and any other body part he could throw at the puck. Molenaar, a junior who more and more looks like the second coming of former Eagle and last year’s Mr. Hockey, Nick Leddy, not only helped keep the feisty Elks scoreless but seemingly juked every Elk River player except goaltender Anders Franke out of his skates during a third-period solo rush that went from end-to-end could only have been prettier had it resulted in a goal. With Rau, Molenaar and Ford, the Eagles have stars everywhere on the ice. 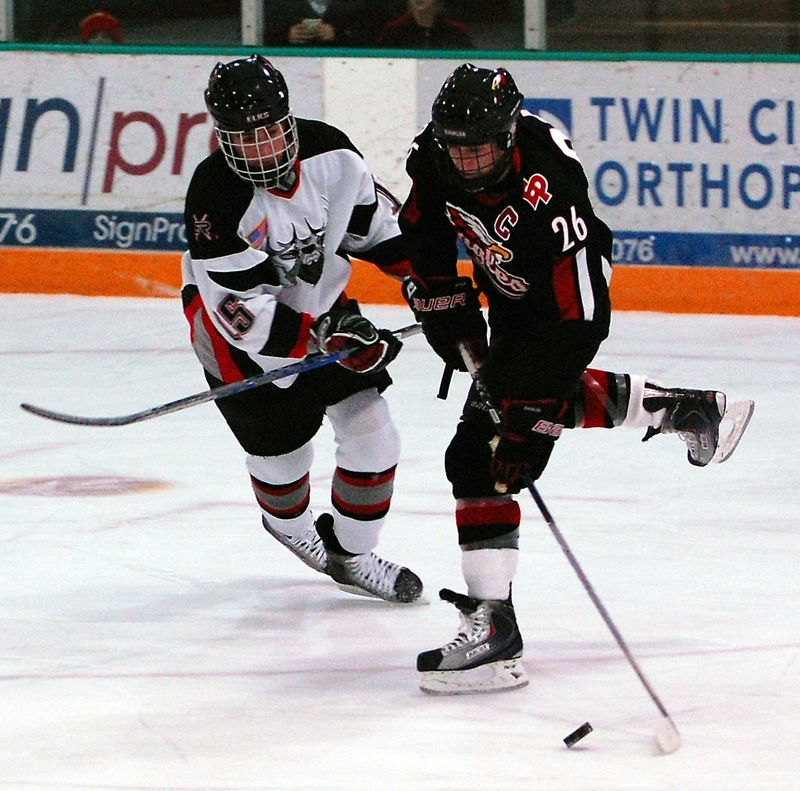 But to beat Elk River, which plays a hard-hitting, in-your-face style, it takes more than star power. “You have to get ready to get hit every time you have the puck,” said Rau, who scored his first goal in the first period on a wrist shot from the top of the right circle and his second in the second period when he alertly banged home a second-chance rebound. Smith said the Eagles simplified their game in the second period, reducing the defenseman-to-defenseman passing and concentrating more on get the puck in the Elk River zone and keeping it there. 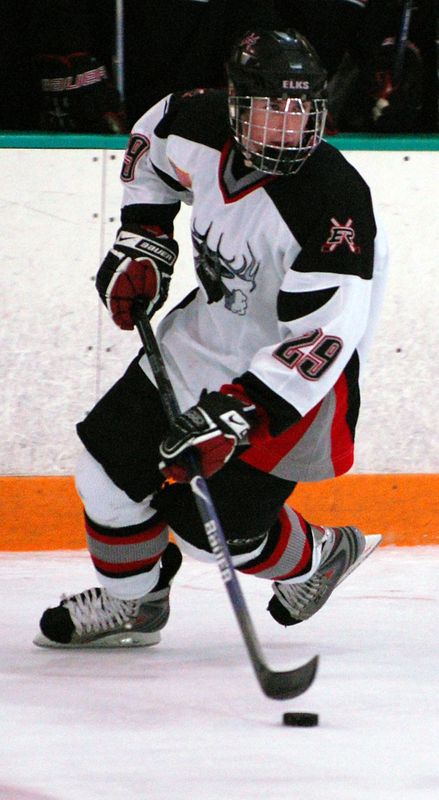 Junior forward scored twice, once on a wrist shot from the top of the circles and once down low on a rebound of his own shot. 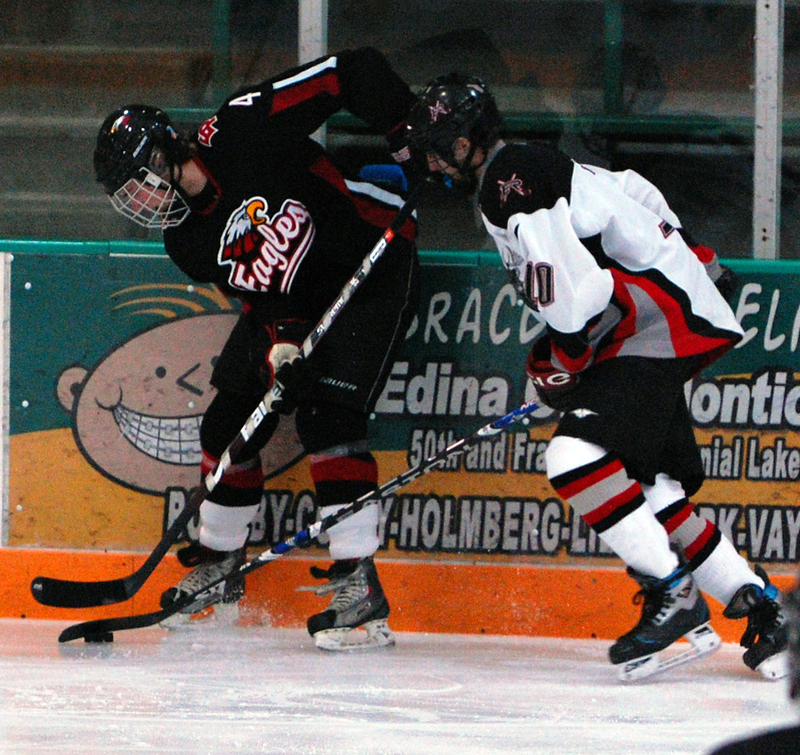 He also helped kill a third-period Elk River 5-on-3 when the Eagles were clinging to a 2-0 lead. 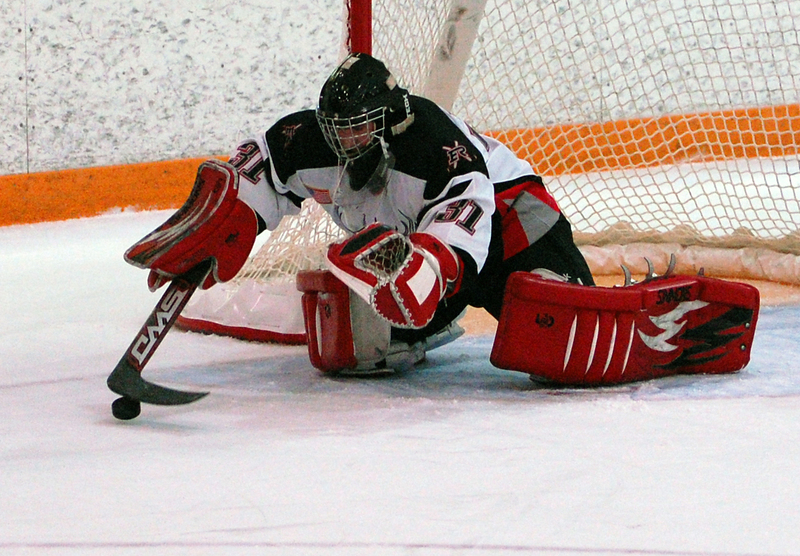 Junior goaltender made series of clutch saves in the third period when Elks had 2-man advantage on power play for 45 seconds. He finished with 25 saves, with one of the best coming on a glove-hand snare of a Michael Katchmark shot in the third period. 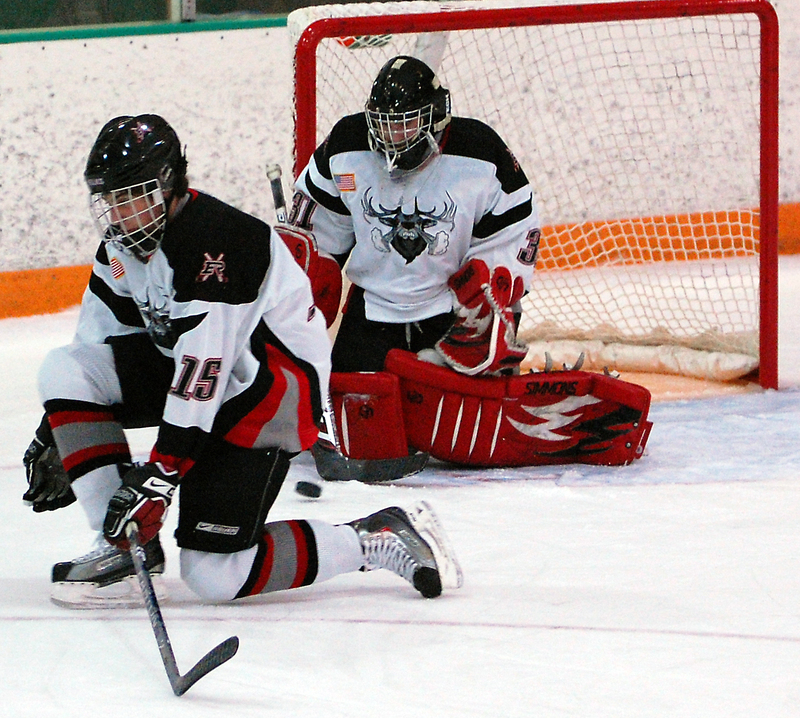 Agile, acrobatic sophomore goaltender singlehandedly kept the Elks in the game in the second period when Eden Prairie unloaded 21 shots and kept the puck in the Elk River zone for multiple line changes. 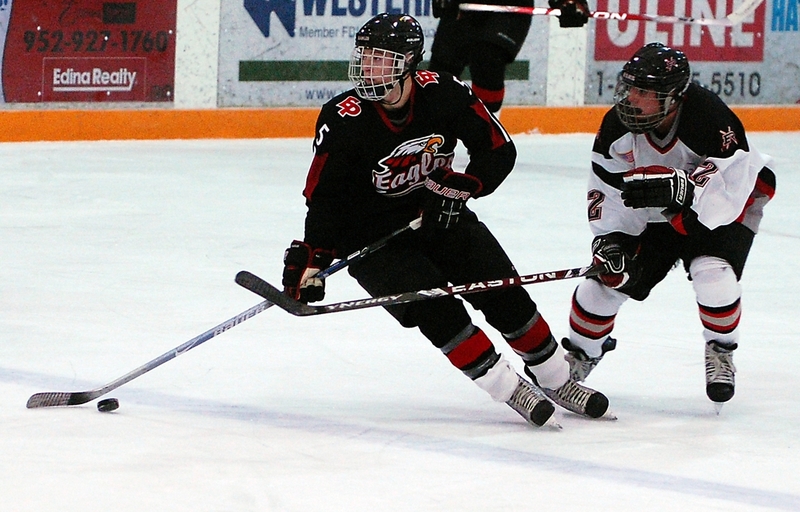 After Eden Prairie's 3-0 victory over Elk River, among those offering congratulations to the Eagles outside their locker room was none other than reigning Mr. Hockey Nick Leddy. 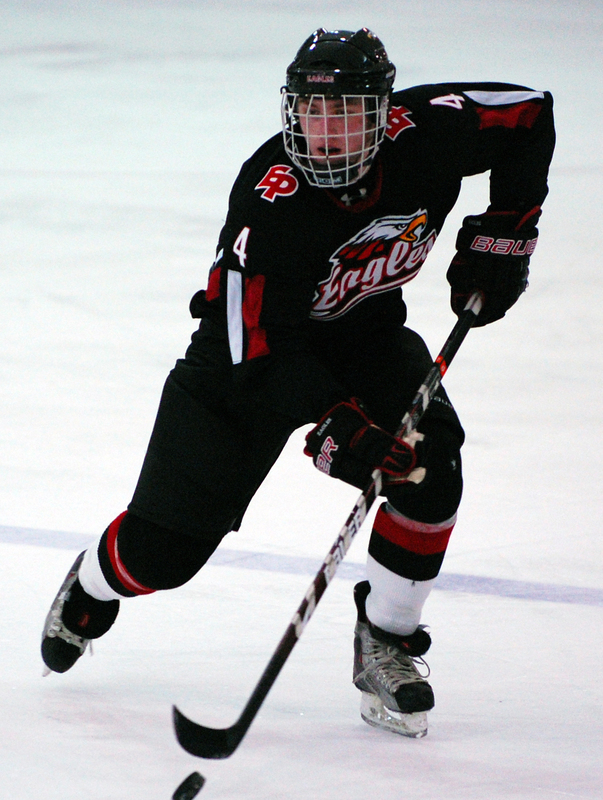 Leddy, who starred for the Eagles last season en route to their state Class AA championship, was a first-round draft pick of the Minnesota Wild and is playing for Minnesota. After a first period that was evenly played, Eden Prairie dominated long stretches of the second period, rotating two and three lines before the puck left the Elk River zone. The Eagles finished the period with a 21-6 advantage in shots on goal. 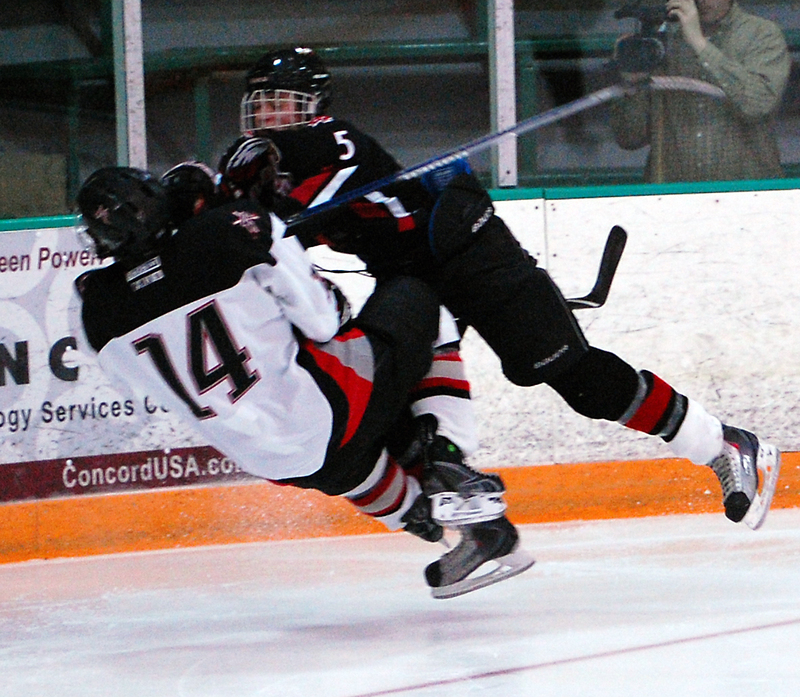 Eden Prairie first-line center and leading scorer Kyle Rau crashed hard into the end boards while sprawled on the ice just 31 seconds into the game's opening shift. Rau, who was making a move around an Elk River defenseman when he lost his balance, was slow to get off the ice and eventually headed to the bench with linemats Mitche Rogge and Luc Gerdes. Rau appeared to be fine as he returned to the ice for his next shift. Rau continued to be the focal point of the first period, drawing a tripping penalty on Elk River's Nick Filipovich and then scoring on the ensuing power play with a wicked wrist shot from the top of the right circle. 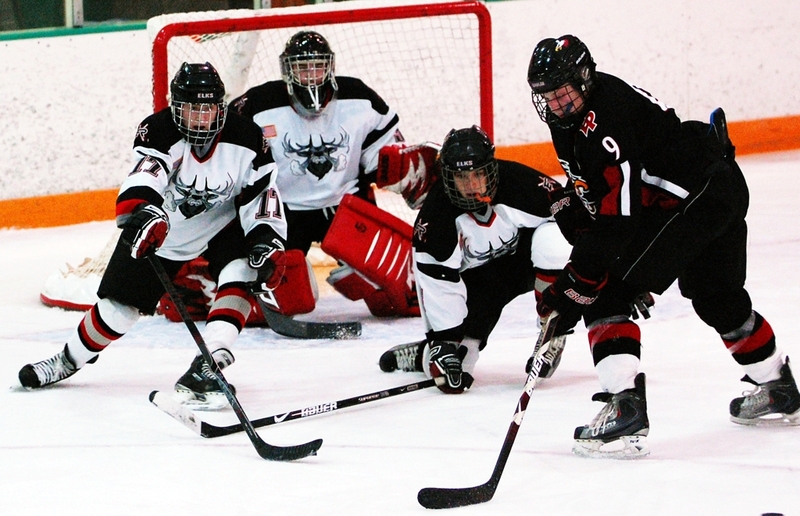 Any list of the state's top sophomores should include Elk River goaltender Anders Franke, who started for the Elks last season as a sophomore and has been one of his team's top players against this season. 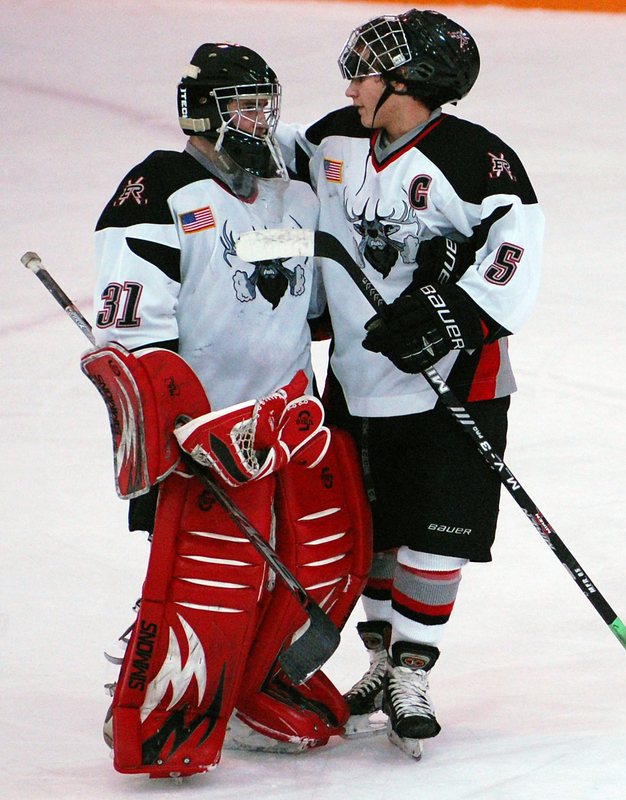 "I wouldn't trade him for anybody," Elk River coach Tony Sarsland said. Thursday's game between No. 2 Edina and No. 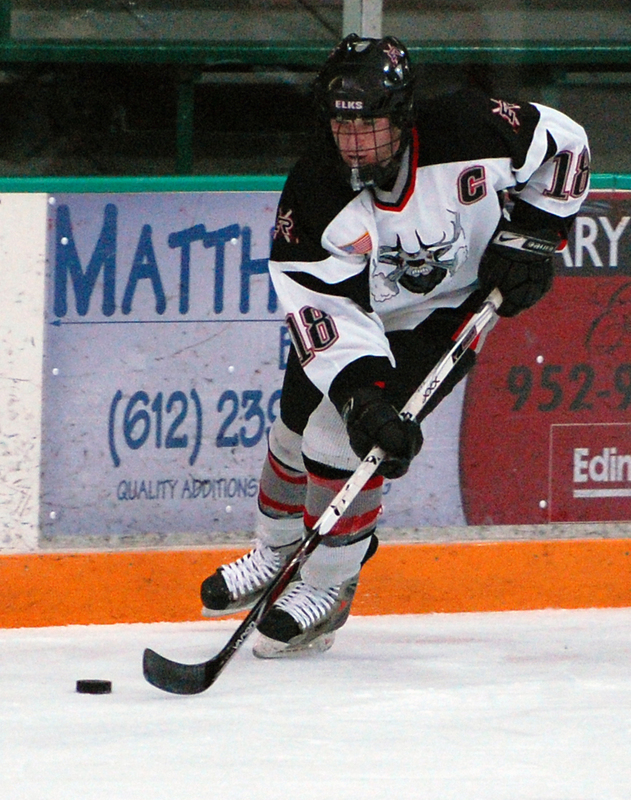 9 Elk River at the Edina Holiday Classic was one of the few so far this season involving Class AA teams ranked in the top 10 in the state. The other, most notable, such game came on Dec. 8 when then Nos. 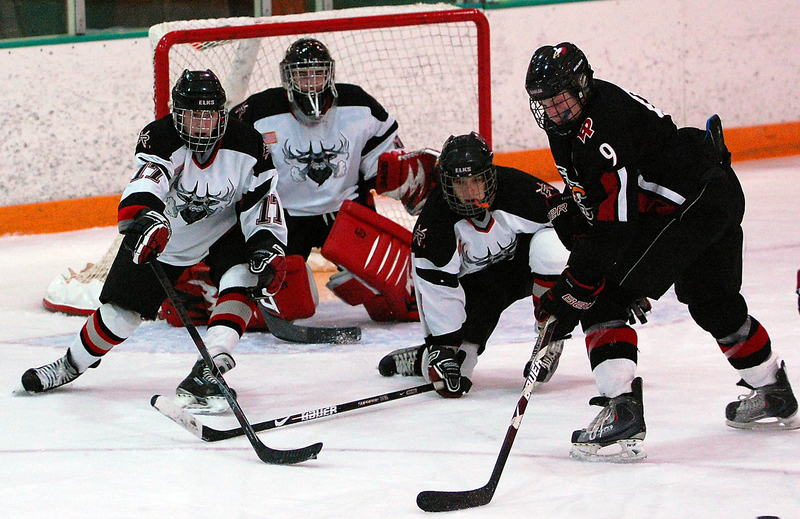 4 and 5, Benilde-St. Margaret's and Hill-Murray, skated to a 2-2 tie.